It has been over a week since I returned home from Israel. This having been my second trip to perform Core Story work in Dr. B’s Trauma Clinic in Jerusalem — I want to thank each of you who kept me in your thoughts and prayers during this trip. It was full of many miracle moments where hope and healing were truly made manifest. Having had some time to reflect on this trip and the people I was able to work at Dr. B’s clinic — I’m astounded and overwhelmed that our work at Coaching: Life Matters and the Core Story tool is making an impact across the world. While abroad, I had the great privilege to introduce the Core Story tool to a diverse group of men, women and children, all of whom were eager to encounter a pinhole of light amidst the darkness of trauma. 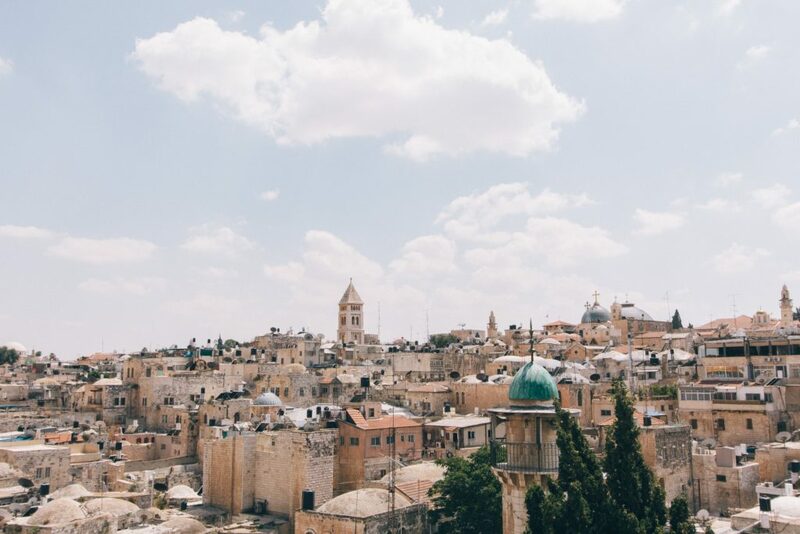 I want to share with you the story of two individuals I worked with while in Israel, individuals who were dramatically changed by our work together. One individual was named Esther, who is a sixty-year-old Jewish lady that has spent her entire life as a workaholic, attempting to prove her value through activity and performance. During our meeting, it was apparent that Esther was exhausted (emotionally, physically and spiritually) from a lifetime of busyness. After facilitating the Core Story tool with Esther, she was able to see, for the first time in her life, that her workaholic behavior stemmed from false beliefs. While rest may seem like a simple thing for many of us to engage in, Esther was being ruled by a Core Lie that equates performance with human value. When Esther was able to identify her Core Lie, she awakened to the Core Truth that her worth as a person is not dependent on her performance, and that rest and reflection is not a burden to carry, but rather a fundamental gift for the soul. Another incredibly miraculous encounter I experienced on this trip was when I met with a twenty-five year old man who has been in a comatose state due to childhood trauma. Unable to speak and prone to rage and violent outbursts, he has been confined to his room for years with his sister acting as his primary caretaker. When we first sat down to meet, this young man would not look me in the eye, was non-communicative and unresponsive in all aspects. Dr. B even tried bringing in a rooster to see if the animal could arouse this young man’s attention. Knowing that the Core Story tool would not be possible to facilitate with this young man due to his comatose state, I decided to make the Core Story real for him in another way. As he piercingly and expressionlessly stared at me, I began to share the trauma of my childhood with him. I shared that I too have felt like an outcast, like a burden, paralyzed with fear and overcome with pain too deep to share. I shared with him the lies I once believed about myself, and how over time, I came to accept the divine love that is available to me, to him, to us all. Whether it was Esther, the comatosed young man I spent time with, or the other men, women and children that I was privileged to work with — there is no question that miracles still happen and that no matter the scope of trauma a person has experienced, a person’s Core Lies can be defeated with the Core Truth — that we are all beloved. Friends, thank you for letting me share these stories and reflections. Thank you for your thoughts, your prayers, and your continued support of Coaching: Life Matters. There’s no question that it is through your support that we are able to bring healing and hope to the world. Please continue to keep our work in your thoughts and prayers, and if you are able to, please consider paying it forward with a tax-deductible donation.